The establishment media's "rage" over their inability to influence and control the American public during the 2016 presidential election is directly responsible for their constant manufactured out"rage," which has led their news coverage for nearly two years now. While they downplay the economic news, low unemployment, historical low unemployment for blacks and Hispanics, regulatory reform, tax cuts, and other news Americans say are their top priority in favor of whatever the media feels should be a priority and should "outrage" their liberal followers, there is a third wave of news that gets mentioned but buried under the avalanche of the media's preferred narrative. We'll start with the new outrages of the day and move on to the good news that has been glossed over in favor of the manufactured outrages. Media Outrage #1: For example, today, the media is all over the recorded tape between President Trump (before his election) and his personal attorney Michael Cohen that was leaked to CNN. Aha, we got em!!! Not so fast say libertarian lawyers and even some left leaning legal news websites that bursts their bubbles by informing folks, nothing illegal was in that tape. The voices of reason haven't stopped the media from running the coverage around the clock and ad-nauseam. 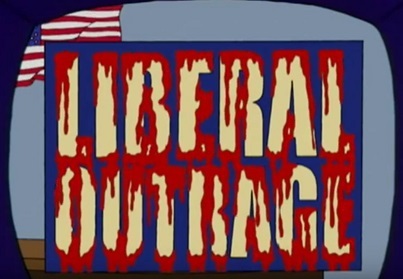 Media Outrage #2: The next thing that "outraged" the media, inciting the same outrage from their liberal followers, is now on day two of whining complaints. CRTV's Allie Beth Stuckey created a hilarious satirical video where she pretends she is interviewing the "future of the Democratic party," the Dem socialist from New York, Alexandria Ocasio-Cortez, using the real answers by Cortez from her disastrous PBS interview edited in after Stuckey's pretend questions. Conservatives got a kick out it, sharing it and liking it millions of times across various social media platforms. Some reactions, via Twitchy include: The Reagan Battalion @ReaganBattalion: “HAHA! Wish this interview happened, @conservmillen Rocks!” -- Curt Schilling @gehrig38: “Ok that was funny :) And the funnier part? I could totally believe that conversation occurring in real life.” -- Kassy Dillon @KassyDillon: “Allie is hilarious.” -- Dan Bongino @dbongino: “This is hysterical. ” -- Eddie Zipperer @EddieZipperer: “    This is HILARIOUS” -- WELL DONE!" Evidently the liberal media and their followers do not appreciate humor from a conservative viewpoint and started pointing out the interview was not "real," and it was "fake news," which pretty much every conservative that saw the video already knew...... ummm.... because it is satire. Satire: "the use of humor, irony, exaggeration, or ridicule to expose and criticize people's stupidity or vices, particularly in the context of contemporary politics and other topical issues." New York Times chief Metro political correspondent, Shane Goldmacher, very seriously informs his followers "This faked interview of @Ocasio2018 by @CRTV has nearly 1 million views on Facebook. In less than 24 hours. Interview didn't happen. It takes clips from @MargaretHoover's show and edits in faux questions. Not labeled satire (other than a  emoji)." I am not sure what is more disturbing, that he felt the need to be outraged over a conservative satirical video clip, or that he thought his 43K followers were too stupid to see that it was clearly satire. He wasn't alone in liberal journalists offended, outraged and determined to whine about it publicly, as White House reporter for QZ Heather Timmons, took to her account to state "There's still no way to report CRTV as spreading misinformation/fake news on FB." Timmons even went so far as to add a screen shot of her attempting to report the satirical video to FB claiming it was "fake news." The Verge claimed the video blurred the line between "bad satire and 'fake news'." Vox's video producer actually spent a whole minute "debunking" this interview, stating "Wow. This is Ocasio-Cortez's PBS intv w/ Margaret Hoover (https://www.pbs.org/video/alexandria-ocasio-cortez-barhhq/ …) spliced together w/ a CRTV "interviewer." Notice that they never appear on camera together, and the interviewer shot is lit different + higher res? Took 1min on google to sort out. Reprehensible." Now that the liberal media meltdown over a satirical video has helped it reach more 2.2 million views just on Facebook, not to mention tens of thousands more on Twitter and YouTube, liberals are on day two of complaining after Stuckey responded to their criticisms by informing them: "1) I am not sorry. 2) It’s not coming down. 3) I will make another one. 4) You don’t have to hate Trump to use humor. 5) I don’t have to warn you when I’m about to tell a joke." One would think all that media/liberal outrage would have tired them out, but no, they found something else to complain about. 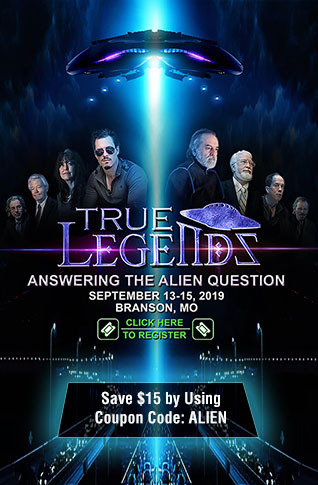 Media Outrage #3: During his speech at a Veterans of Foriegn Wars (VWF) convention in Kansas City, Missouri, President Trump told the audience of veterans "Don't believe the crap you see from these people, the fake news," pointing at the media section, then the veterans started booing and jeering the journalists, and right on cue, media members went to Twitter to whine about it. White House Bureau Chief at The Washington Post, Philip Rucker: "'Stick with us. Don’t believe the crap you see from these people, the fake news,' Trump says at Veterans of Foreign Wars convention. Scores of veterans, right on cue from commander in chief, point to press riser and boo and hiss." National Security Correspondent at BuzzFeed, Vera Bergengruen: "Trump, the commander in chief, points to the press in the back, veterans boo, jeer and applaud. Unsettling." On and on the outrage machine whined and complained.... you get the point. Other items of news, even when reported by the establisment media, otherwise known as the propaganda arm for the Democratic party, is so overwhelmed by their outrage of the day (or week), that news that is good for Americans across the board, and specifically news that conservatives would find comforting, is literally buried before many even notice it. This includes economic news, mentioned at the beginning of this article, but also includes pockets of stories that show an underlying shift from the Obama-era policies and influence. During the Obama era, his Justice department and other agencies followed along with the new media guidelines in labeling "illegal aliens" as "undocumented immigrants," in order to confuse the masses as to the fact that when immigrants enter the country illegally, they are committing a crime. 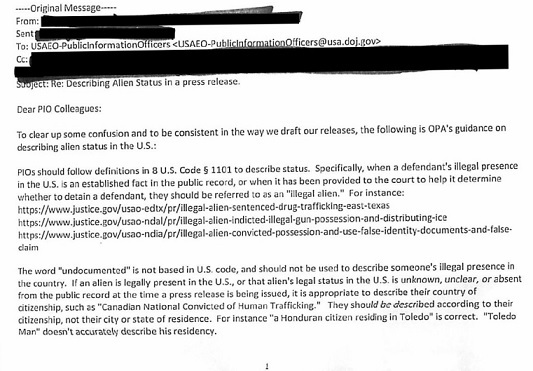 In August of 2017, liberals and pro-illegal immigrations advocates were quite outraged that under the Trump administration, the DOJ issued a press release that referred to illegal aliens as just that.... illegal aliens. Yesterday, liberals became outraged again, when a DOJ internal memo was published where they instructed their U.S. Attorneys offices to start using the statutory language from U.S. code in their press releases. They have been instructed to use the legally correct term "illegal alien," rather than "undocumented immigrants." Despite the fact that the very definition of "illegal alien" is: "a foreigner who has entered or resides in a country unlawfully or without the country's authorization," as well as that being the statutory language in U.S. Code, the predictable outrage ensued across social media, incited by the media's outrage. The second example of good news for Americans that have respect for the law, versus judicial activism from the bench/liberal judges, is a couple of Second Amendment wins that while being reported, have been buried under the onslaught of outrage by the media. A federal appeals court on Tuesday ruled that the Constitution's Second Amendment grants people the right to openly carry a gun in public for self-defense. Two of the three judges on the 9th Circuit voted to reverse a decision by the U.S. District Court in Hawaii that said officials did not infringe on the rights of George Young — the plaintiff who was twice denied a permit to carry a gun in public. Another win stems from the Obama administration's State Department had forced a company to remove blueprints for a 3D pistol called "The Liberator," by threatening the owner of the company, Cody Wilson with jail in 2013. Last week the Trump administration, "seemingly out of the blue," according to Vice News, agreed to settle the case, and agreed to pay Wilson's legal fees of nearly $40,000. As of August 1, 2018, the company, Defense Distributed, will be able to publish the blueprints "without fear of reprisal by the U.S. State Department." The third example is a huge free speech win. A student who was suspended from Liberty High School in Hillsboro back in January, for wearing a T-shirt that said "Donald J. Trump Border Wall Construction Co., after refusing to cover the shirt up or go home, sued the high school, the principal and the Hillsboro School District, arguing they violated his First Amendment rights. In May, a federal judge issued a restraining order against the school, which barred it from enforcing its earlier decision to ban the student from wearing the shirt for the remainder of the year. On Tuesday the student's lawyer announced they had reach a settlement, where the Principal "will issue a letter of apology, and the district will pay $25,000 for Barnes' attorney fees." There are pockets of news like that shown above, buried under an avalanche of fake media outrage on a daily basis. These are small in the scope of things, but point to a larger "wave" for lack of a better word, where wrongs are being righted, decisions made by the previous administration which violated the very constitutional rights a government is supposed to uphold, are being overturned and reversed by the Trump administration. Sure there are much bigger problems and issues, but as we see example after example of news that would be popular with the majority Americans, get downplayed and hidden, we have to wonder if it is only "rage" and a nearly two year temper tantrum from the establishment media, or if hiding news which would find a great amount of support from the public, isn't part of the reason the media continues to manufacture such over-the-top outrage? It is almost like the media simply doesn't want the public to see any good during the Trump presidency.